What makes the new 2018 Chevrolet Cruze so amazing? For starters, it comes either as a small car or as a hatchback vehicle. Chevy thinks that you deserve options and here at All Star Chevrolet, we couldn't agree more. We all know how fast life can move. Don't let it blur by in a whirlwind – get a new Chevy Cruze! This updated vehicle offers drivers additional cargo room and advanced technology. Don't you want a new vehicle to brag about? Take the step to visit our Chevy dealership in Baton Rouge, LA today! With sculpted lines flowing throughout, it's easy to see why the aerodynamic figure of the new Cruze is so eye-catching. 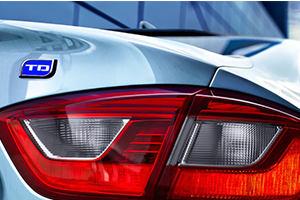 The available projector-beam headlamps with available LED daytime running lamps will leave an impression that lasts. With available heated rear outboard seats, anything is possible with the new Chevy Cruze. If you opt for the hatchback, you'll be opening yourself up to a whole new realm of possibilities like 47.2 cu-ft. of added cargo space! That means that the next time you're planning a camping trip, you will not be stressed about where to put stuff! Purchase some peace of mind and drive off in a new Cruze. With the advanced technology that's available in this sporty sedan, you'll be amazed. 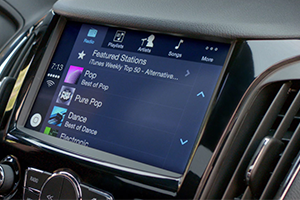 The new Chevy Cruze presents drivers with a MyLink 7" diagonal color touch-screen so that you can keep all of your music and applications accessible through Apple CarPlay and Android Auto. Sync all of the important stuff through our myChevrolet Mobile App and then take the power of your Chevy to the next level! It's important to ensure that your whopping 52-mpg on the Cruze presents a driving range up to 702 miles with just one tank of gas – that's insane! With the new 2018 Chevrolet Cruze, you can take that cross-country road trip you've been dreaming of, and you don't even have the break the bank to do it. The 1.6L Turbo Diesel Engine offers impressive fuel efficiency so that you can worry less while you're on the road! Buy a new 2018 Chevy Cruze and just bask in the ingenuity. This new vehicle is clearly efficient and capable. You need a car that can keep up with you, and the new Cruze can obviously keep up with its various innovations. Impress your friends and family and roll up in a new Chevy Cruze after your schedule your test drive in Baton Rouge, LA!